Face it: You’re not going to get a bunch of TV critics in one place and not have them eventually vote to hand out awards to some people. And so it went for another year at the Television Critics Association’s annual awards ceremony, honoring the critics’ choices in about as literal a fashion as possible, by recognizing the best TV of the year in a variety of categories, and as voted on by the assembled TCA critics. Happily, the results of the awards confirmed that we (and you) all have excellent taste, highlighting a number of A.V. Club favorites. (Phew! That could have been awkward.) 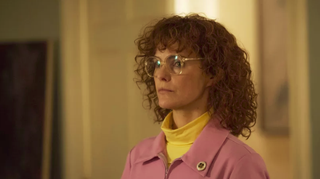 The big winner was the dearly departed The Americans, which pulled down both Outstanding Achievement In Drama and Program Of The Year, plus an Individual Achievement In Drama award for star Keri Russell. Meanwhile, new favorite Killing Eve snagged Best New Program, The Good Place was named Outstanding Comedy, and living legend (and Random Roles all-star) Rita Moreno received a lifetime achievement award for her decades of amazing work on the small screen. Other winners today included a bunch of other people and shows that we like, including Sesame Street, Last Week Tonight, Anthony Bourdain: Parts Unknown, Queer Eye, American Crime Story, and The Marvelous Mrs. Maisel’s Rachel Brosnahan. All told, an extremely respectable crop, even if a “Heritage Award” for Friends seems more like an acknowledgement of its unkillable nature, rather than anything else.